Park West Gallery artist Dominic Pangborn is looking for your support in having his artwork chosen as the official design for the 2018 Winter Olympics. A worldwide survey is underway to help select a design from one of 14 artists that will be used as the artistic branding on all games facilities and promotional items for the Winter Games, held in 2018 in Pyeongchang, Korea. 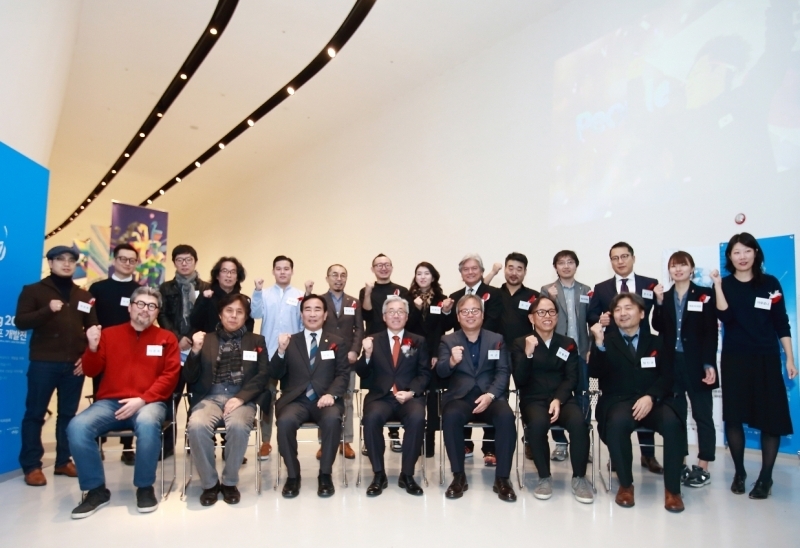 Pangborn, a native of Korea, and 13 other artists have been selected by the National Museum of Modern and Contemporary Art and the Korea Institute of Design Promotion to create artwork that will become the official “Games Look Design” of the Olympic and Paralympic Winter Games in 2018. Both online and offline polls were created so the public can help decide which artist will be selected. A selection committee will evaluate the survey to help select the final design. The online survey only takes about a minute to complete. Click here to take the survey, or visit the PyeongChang2018 official Facebook page. 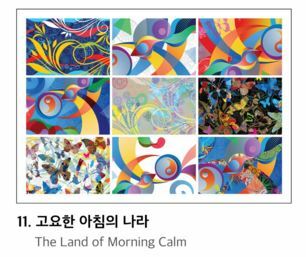 The survey runs until November 17, so be sure to vote for Pangborn’s entry (#11, “The Land of Morning Calm”). Dominic Pangborn’s entry in the 2018 Winter Olympics survey. Pangborn visited his home country on November 10 to take part in the Looks Motifs Exhibition and Survey opening ceremony at Dongdaemun Design Plaza in Seoul, where the designs are on display. In attendance at the ceremony was Minister of Culture, Sports and Tourism Kim Jongdeok. The Winter Games are scheduled for February 9-25, with 6,000 athletes expected to compete. Another 690 athletes will compete in the Paralymic Games, which will be held March 9-18. Pangborn’s selection as one of the artists comes on the heels of his visit to Washington, D.C. in late October, where he presented artwork to celebrate the 50th anniversary of the White House Fellows. Take the Winter Olympic survey here, and view Pangborn art available from Park West Gallery. Good luck Dominic! You are my favorite artist! 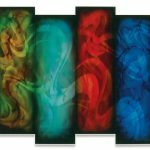 Please send us more information on new art arrivals !! Hello Dominic. Barb and I wish you much happiness, success and good health in 2016. We just found out about your participation in the Winter Olympics’ art contest. How very exciting this must be for you. We wish you well. Thank you for the beautifully unique artwork you have created,some of which are proudly displayed in our house. Hope to see you again in the near future.